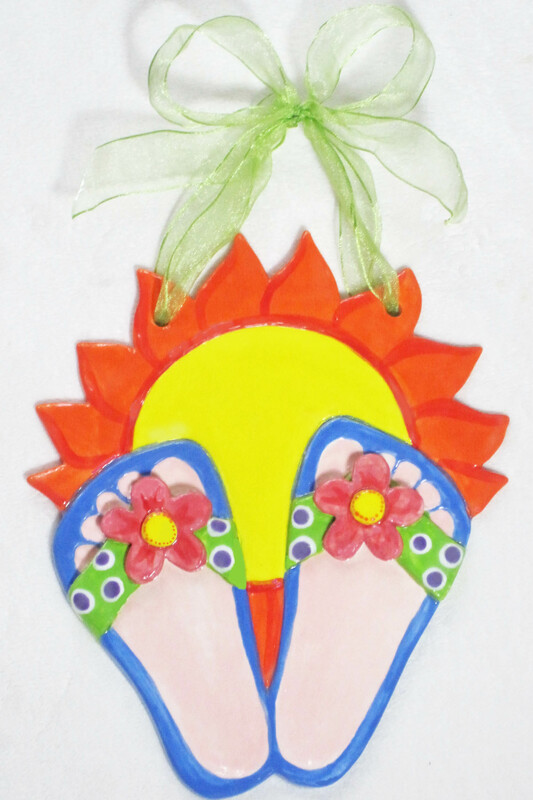 Flip Flops Feet Impressions with sculpted flowers and sun. $105 I can paint any flip flops you want, you are not limited to the design above. This is too cute!! I mean really...flip flops sculpted and painted around your kiddo's precious little feet. How great is that?! Current age and birthdate engraved on back. Great for that Destin Condo, Beach or Sun Room! !